* A long post ahead! Tin and I only had 1.5 days in Athens; we didn’t do the city justice by staying so short. I know! 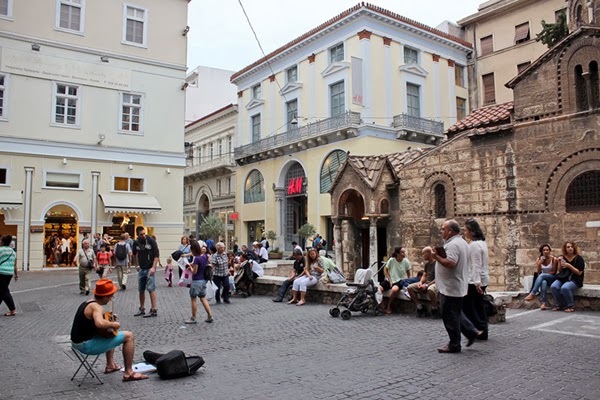 For anyone travelling to Athens, try to spend more time in this wonderful city. After a day of site seeing, we only had an afternoon to go pasalubong shopping and then some. 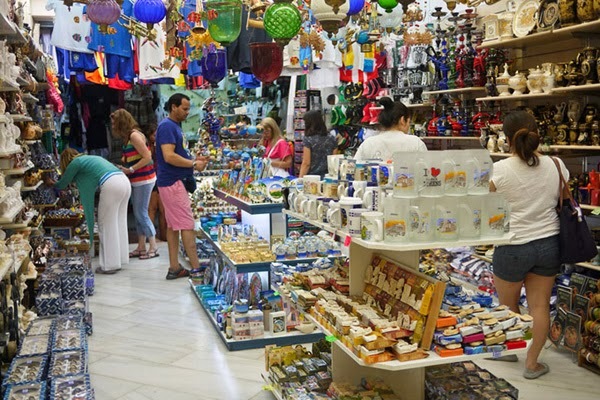 We did all of our shopping in just three areas: Monastiraki, Plaka and Ermou Street. Passing by Monastiraki was part of our Athens Free Walking Tour. 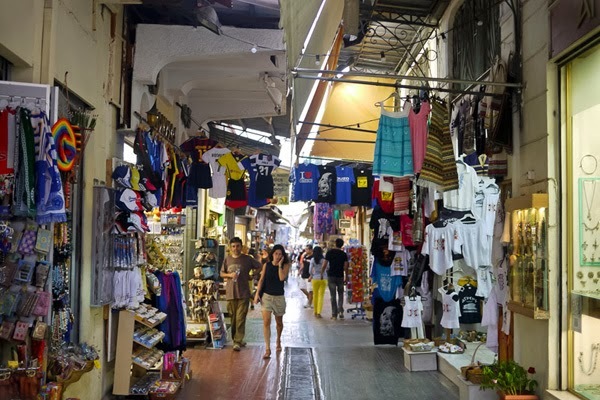 It is known for being one of Athens’ oldest markets. 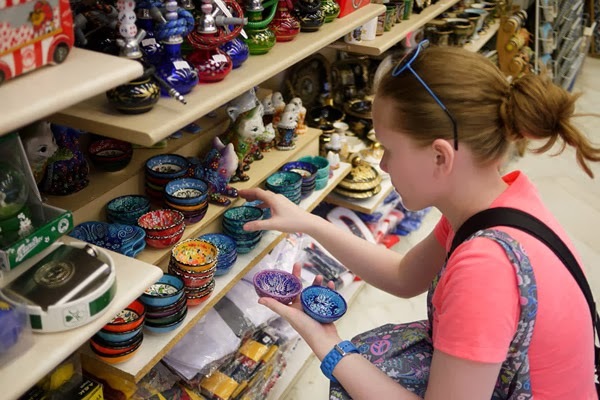 You will see a lot of local shops here ranging from food, clothes, house wares and souvenirs. 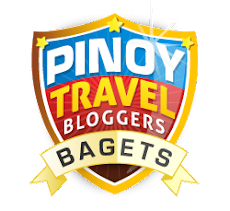 As mentioned previously, it’s like BGC with its open areas but with the offerings of Greenhills. Admittedly, I got confused. Monastiraki and Plaka are next to each other but I wasn’t able to decipher where one part starts and one part ends. 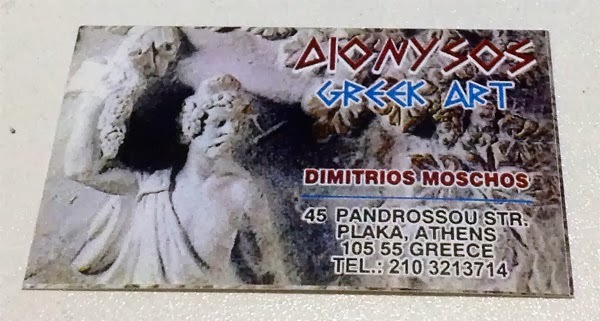 So I thought all this time we were in Monastiraki then we I got the business card of the shop, it says Plaka. Go figure! 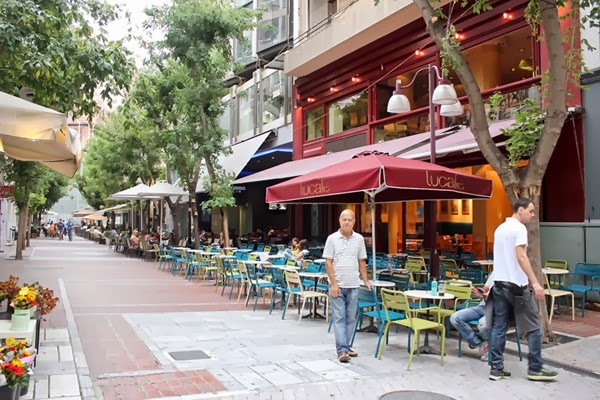 We had a 30 minute break during our tour at Monastiraki which we used for lunch. There is one street full of restaurants. We bought our first authentic gyro from the restaurant closest to the church. I observed that a lot of people were buying gyro and eating by the church. Why you might ask? 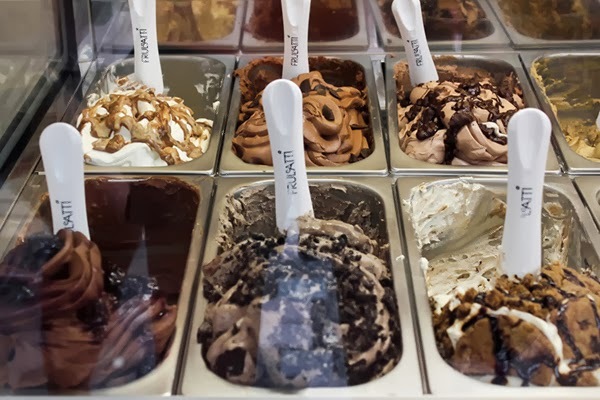 For the same gyro, you can buy it for €2 for takeout or a whopping €5 if you dine in. No way man! 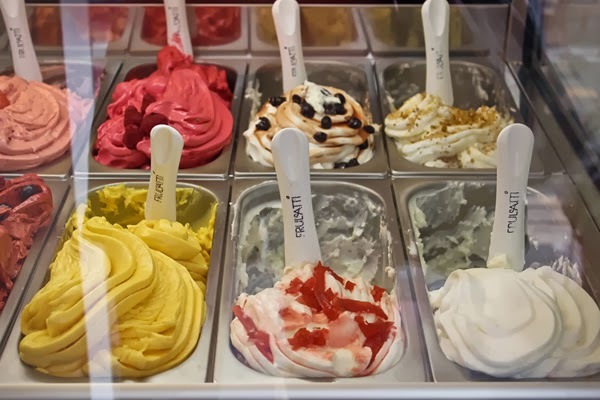 Gyros are considered “junk food” in Greece. It is sold everywhere. 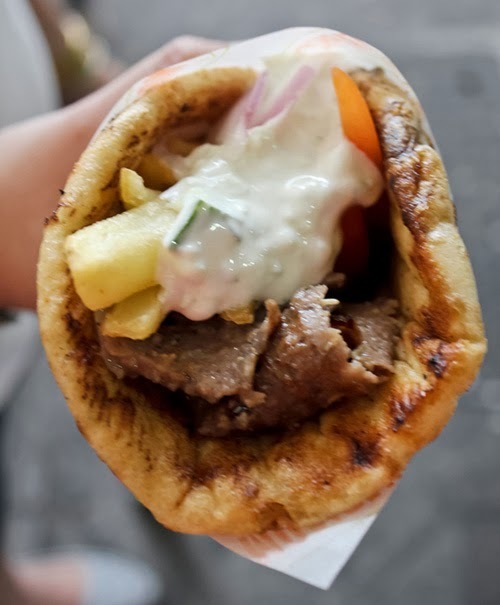 This gyro was the best one I tasted during my 2 week stay in Greece. 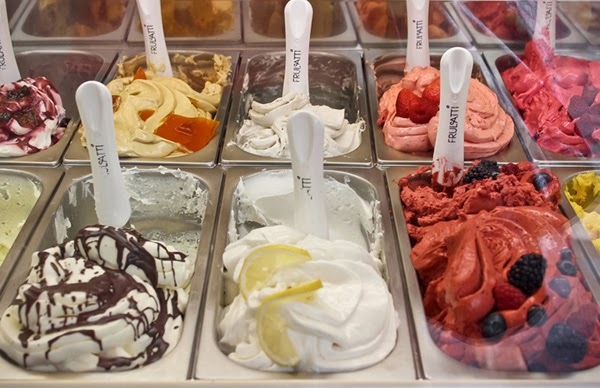 A few stores from the Monastiraki Church, you will see the Ice Cream Shop – it IS the name of the store. You won’t miss it since the shop is decked in pink. 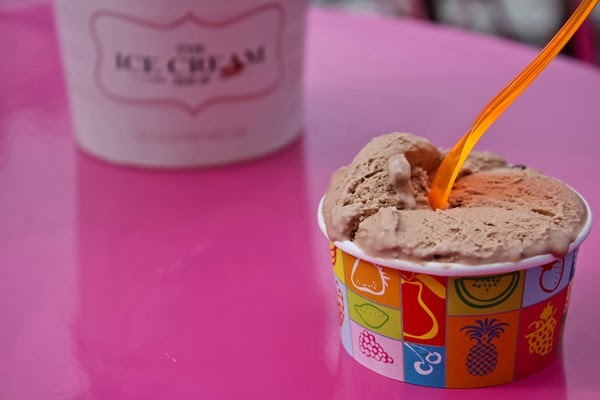 My Nutelonne Ice Cream – yes, more Nutella! 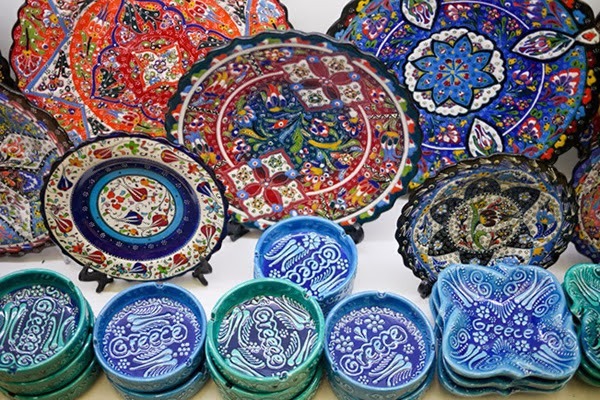 Just one look at the assortment of colors and designs, you’ll surely take one home. 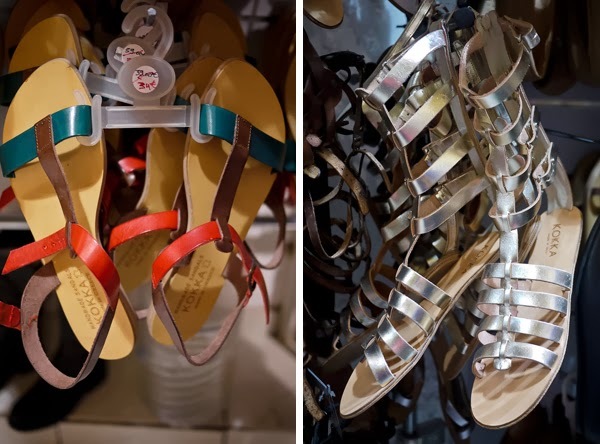 I resisted the urge to buy for me – it took so much will power! 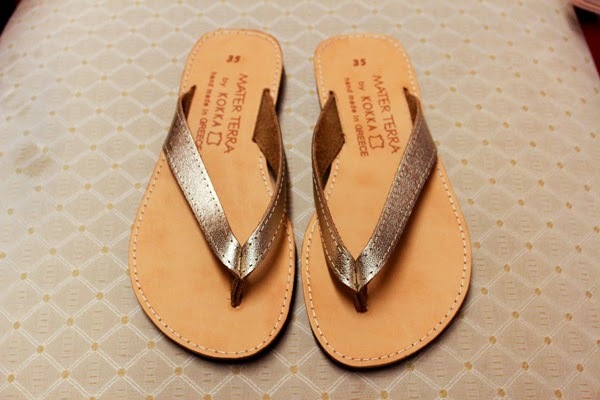 I bought a pair for my Mom. 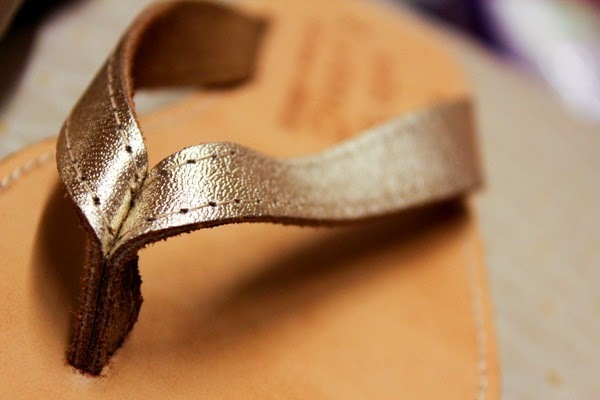 The sole isn’t as soft as I want it to be but they’re authentic Greek sandals! 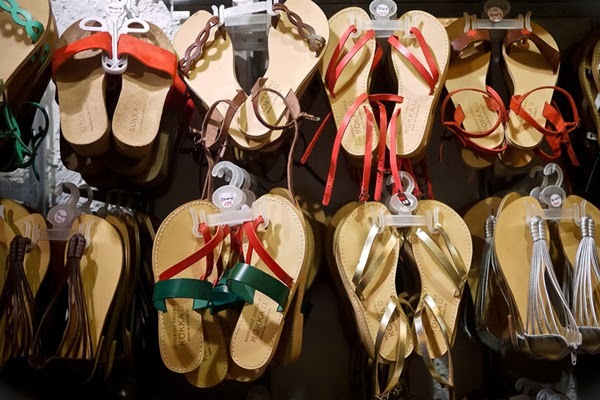 Sandal prices vary from €10-50 depending on the style. 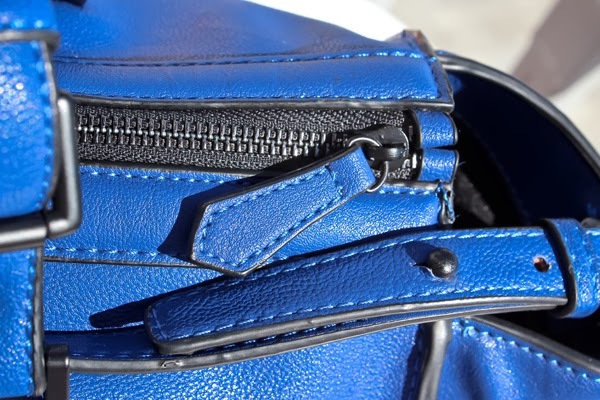 I didn’t know the Greek were known for leather. All this time, I was thinking that I was heading to Italy anyway which is a country known for leather so I should buy there instead. But you know what, I COMPLETELY regret not getting for myself! Sure they may not be the most comfortable but it makes for a fantastic personal souvenir and story. We met the designer Kokka who was a wonderful person to chat with. He beamed with pride telling us stories about his shoes. 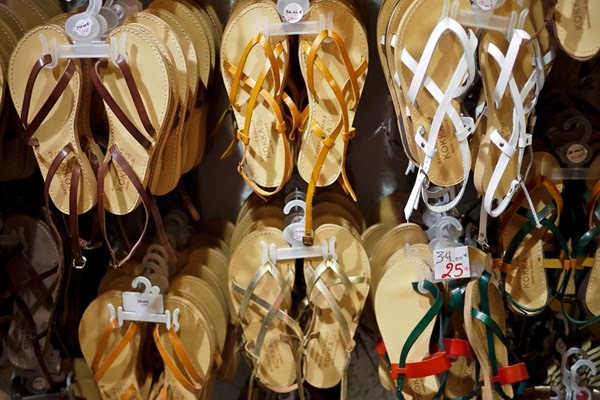 The regret is sinking in more because I could have bought sandals from a great man. So…it’s another case of not knowing the English name of the store. I could only decipher “Greek Art”. You can see the name of the store in Greek in the photo above. 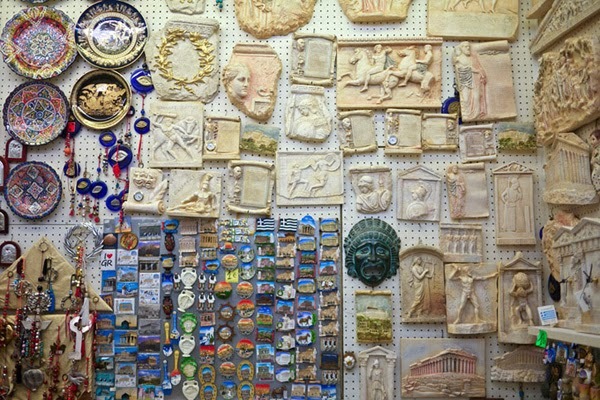 The store has different kinds of souvenir items and authentic Greek pieces. 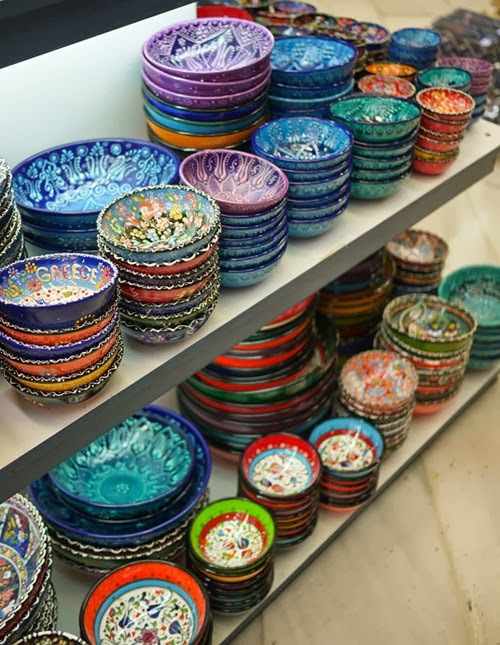 I spent a long time marveling at these colorful hand painted bowls! I don’t have a need for it but they were just beautiful. 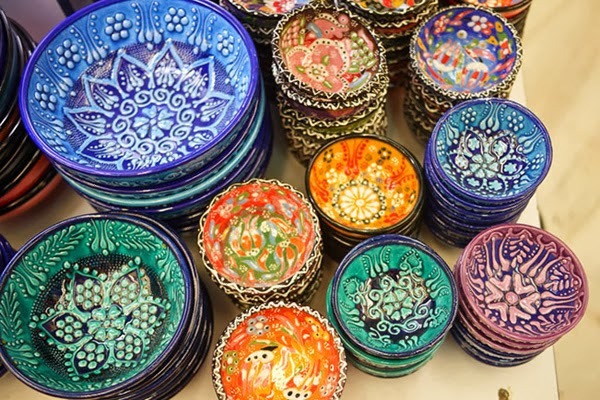 I have this notion that I want to buy souvenir for myself in every place I go to but I sometimes forget! My collection is actually small. I’m going off track. Anyway, this store had a gorgeous assortment of items and I couldn’t contain my excitement. Sure this was the first leg of the trip and buying something breakable isn’t the best idea but I couldn’t resist. Moreno was the one who assisted me and gamely answered all of my questions. It even came to a point where he was amused by my love for his items and that I was having a difficult time picking one. I was really having a tough time choosing. Tin documents my problem. 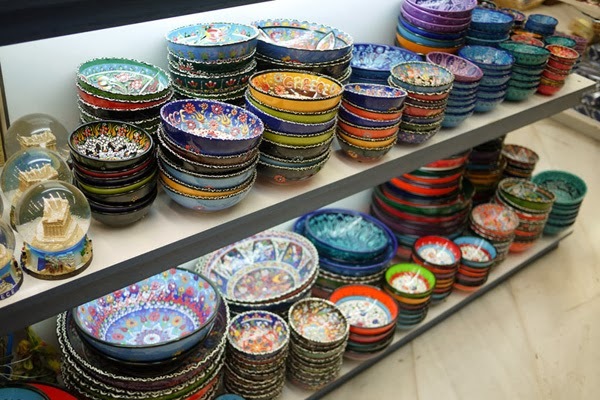 The bowls I’m holding in the photo are the small ones; I bought the medium sized one. I can’t stop gushing, it’s so beautiful! What do I use it for? Nothing yet but it will find a use in my future house! 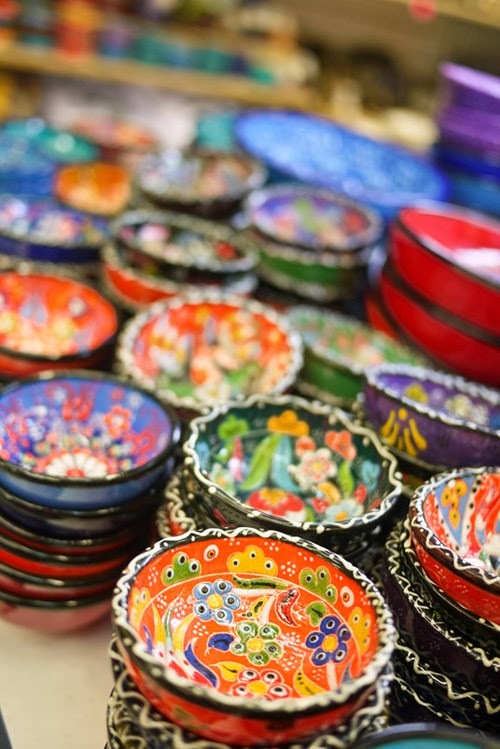 I remember Moreno calling the bowl a nemet/nimet but when I goggled the term but there were no records of hand painted ceramic pieces named as such. I chalk it up to hearing him wrong. 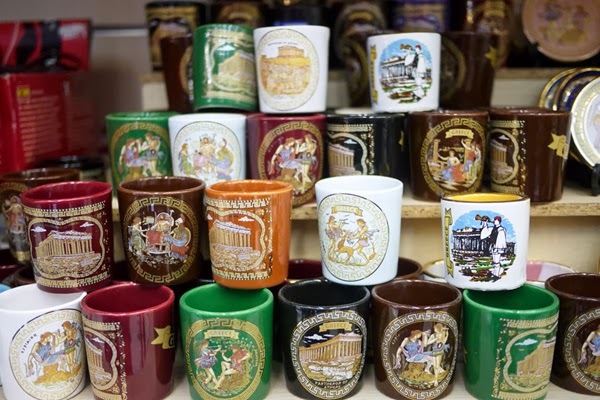 My Mom collects shot glasses so it’s easy to buy a souvenir for her. 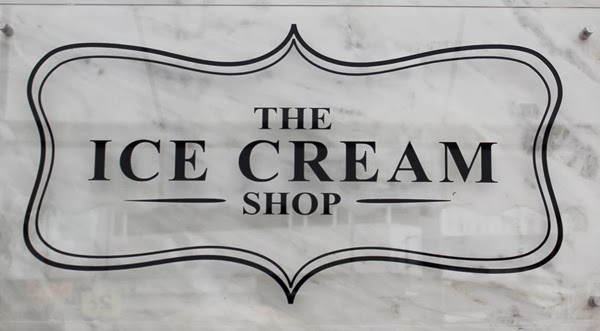 If you plan to buy from this store, make sure to look for Moreno. He will give you a good deal even without you asking for it. My bowl was originally €8 and my shot glass was €1.50. He gave everything for €7.50. Tin was heading home after the Italy leg which meant I could send some gifts for the family through her – I could send home food! Yay! 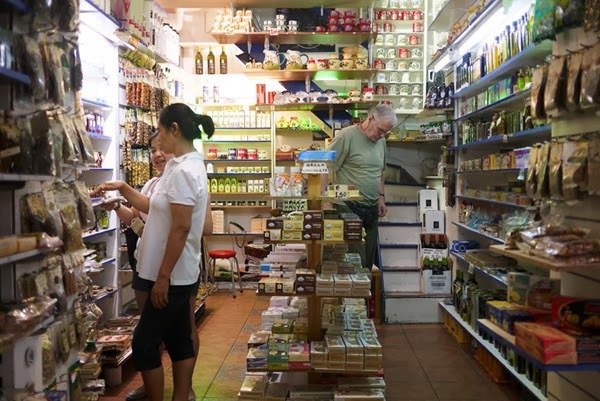 Haha We bought all our food pasalubong from this shop, Greek Corner. 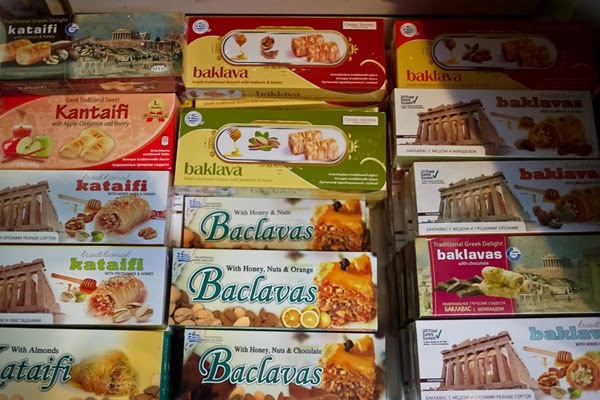 What I noticed about most sellers in Monastiraki and Plaka, they are priced similarly. 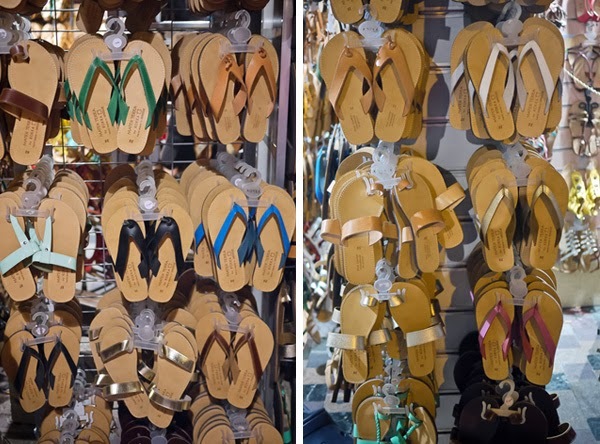 You won’t see a sandal being sold for €10 in this store and then see the exact same pair for €25. Price discrepancies are usually €1-8 only. The Greek Corner had a secret weapon, a kind Filipina sales person. We met Ate Emy at the store. Her Greek boss was also in the store during our visit. A part of me wanted to showcase Ate Emy’s selling skills which is why we bought a lot here. I wanted her Greek boss to see she’s great at her job. She was extremely kind and courteous as a person, it was just a bonus she was a Kababayan. 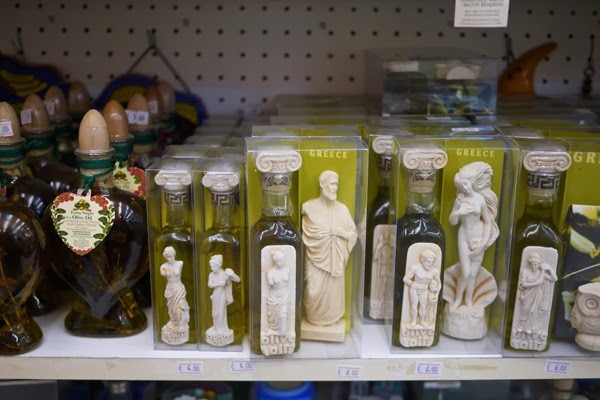 The Greek Corner is seriously a one stop shop for Greek items. 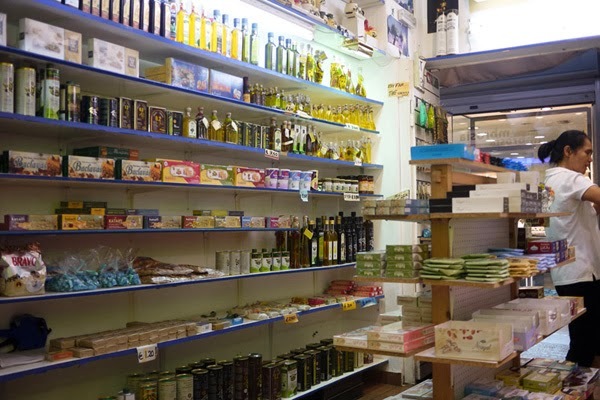 Olives, olive oil, chocolates, spices, ouzo, baklava – you name they have it all. 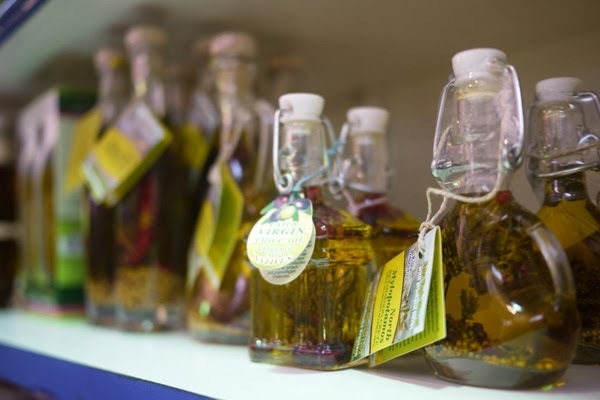 They have a variety of bottled olive oil. Some in gorgeous bottles but I knew it was tricky to bring home so I didn’t get any. 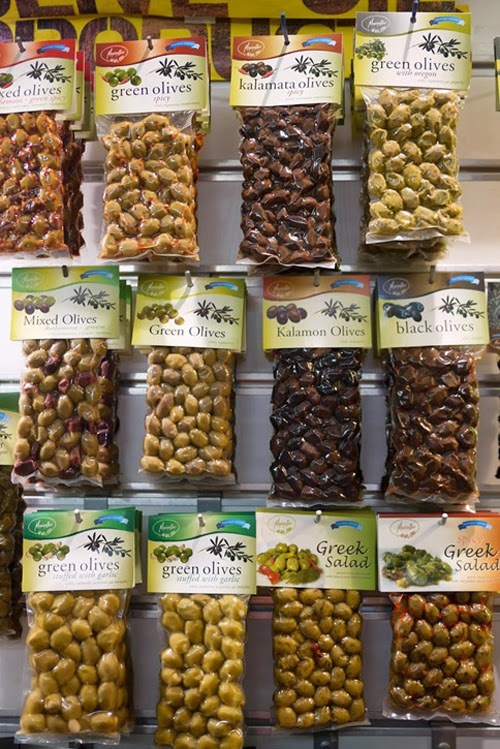 Again, I was tempted to buy olives since Greece is known for it. I was worried about the shelf life so I had to pass. 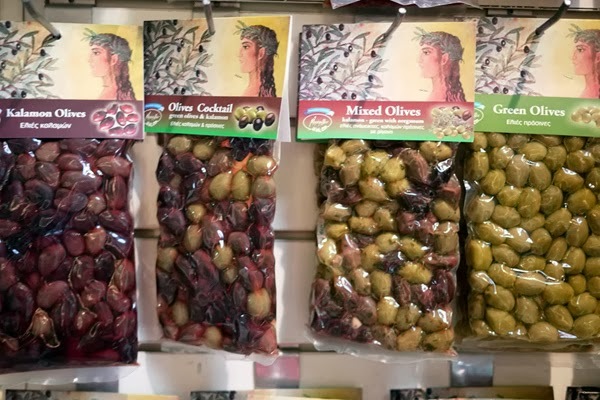 It was heart breaking to see so many variants of olives and not bring home any. There are packs of spices individually and in groups. What do I mean? 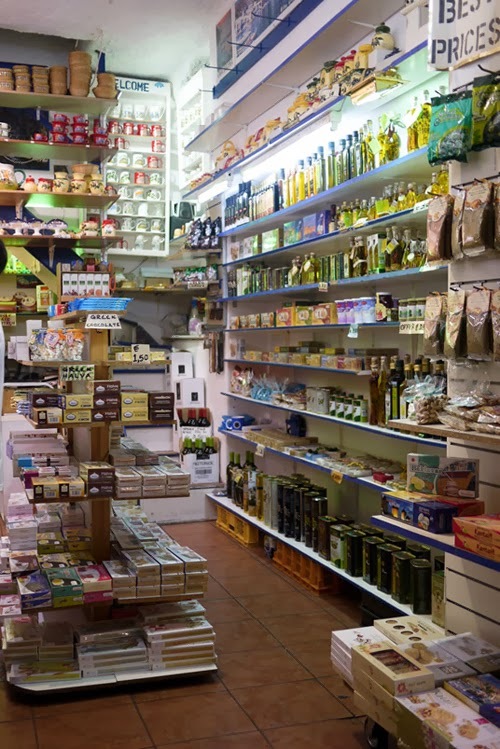 You can buy individual packs of basil, parsley, etc. 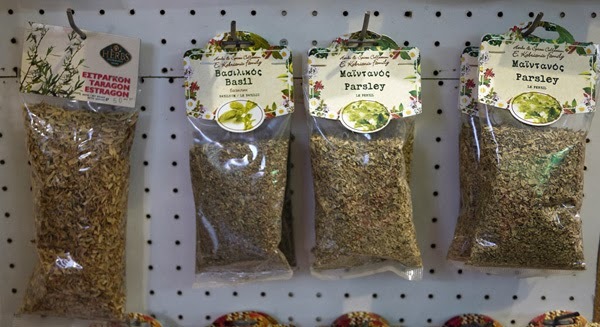 There are packs of spices with different ingredients in one pack to make Greek dishes. 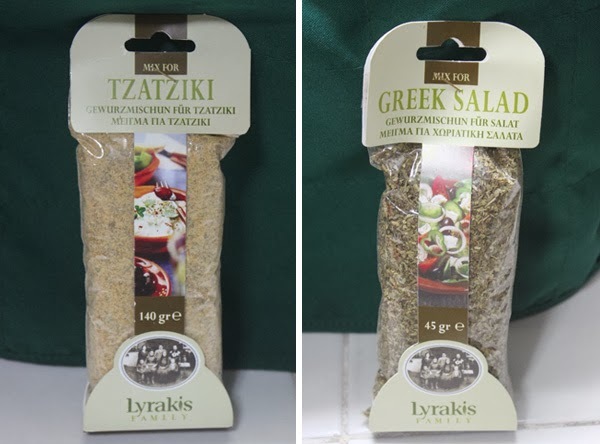 I bought a pack for making Greek Salad and Tzajiki (famous Greek dip). They also have spices for entrees like Souvlaki. 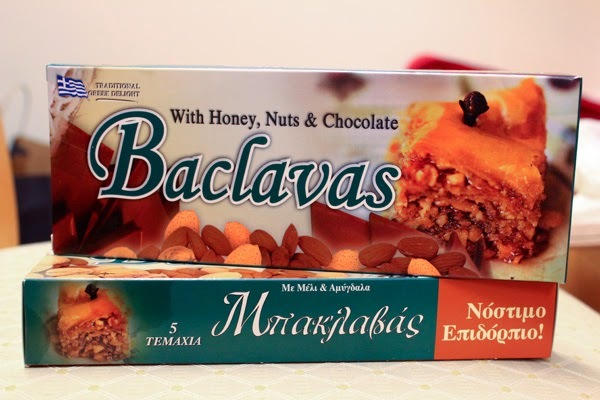 I bought Backlava without knowing what it tasted like. 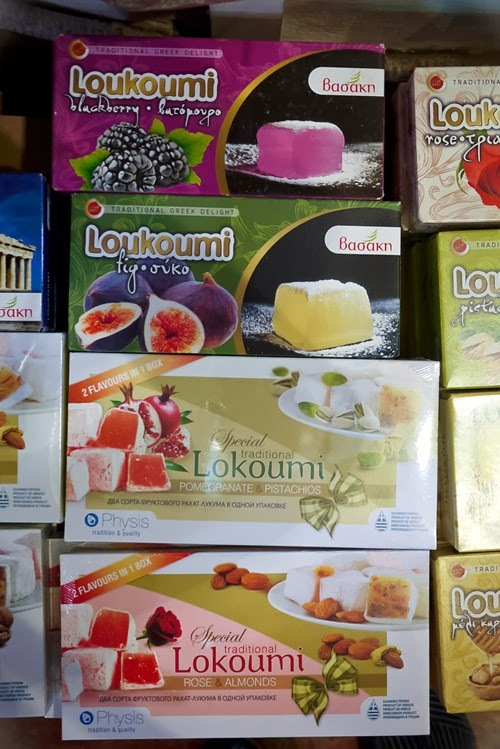 All I knew was it was a traditional Greek dessert. I bought 2 kinds, the original and the chocolate. I just asked Ate Emy what the best ones were and got that. The name says it all; it is a factory in the sense that it has a diverse portfolio of designs. 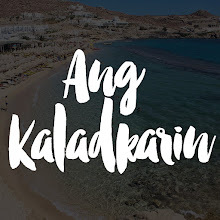 Their shirts may not be cheap or of the best quality (some shirts from Kultura Filipino are much cheaper and of better quality) but it has a unique selling point – they can print your name in the Greek Alphabet. All you have to do is pick the design you like, then the color of your shirt and the size. 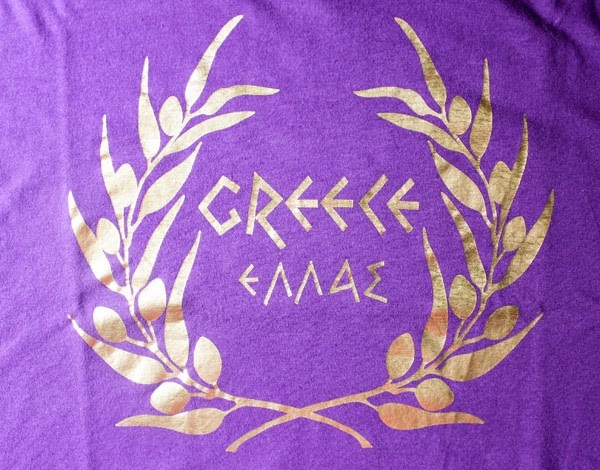 Let them know what name you’d like printed and they put the Greek name on the back. Like my Mom, my Dad is easy to please because he loves getting souvenir shirts. I didn’t think twice about getting this shirt because I wanted a special shirt to add to my Dad’s collection. 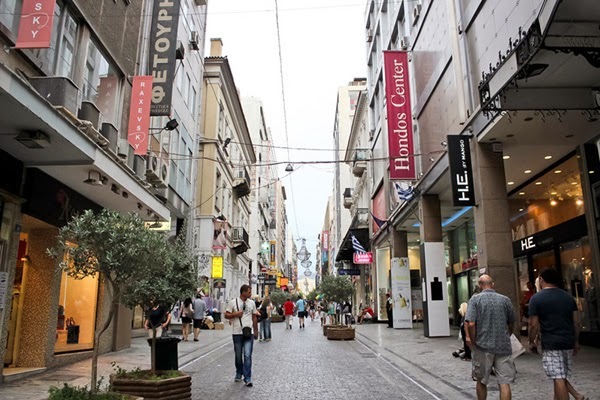 Emou Street is a pedestrian area housing mostly international brands. 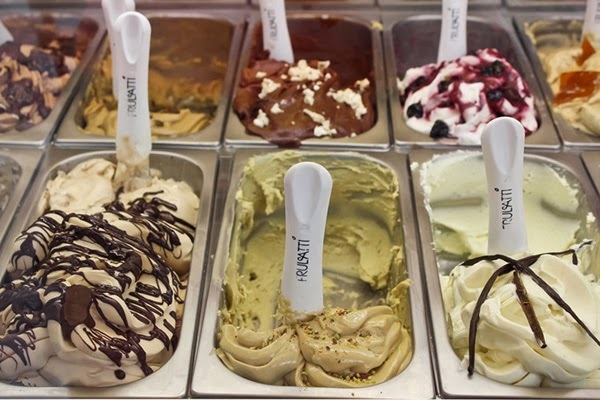 There are also flower shops, cafes, bakeries and restaurant sprinkled along the street. 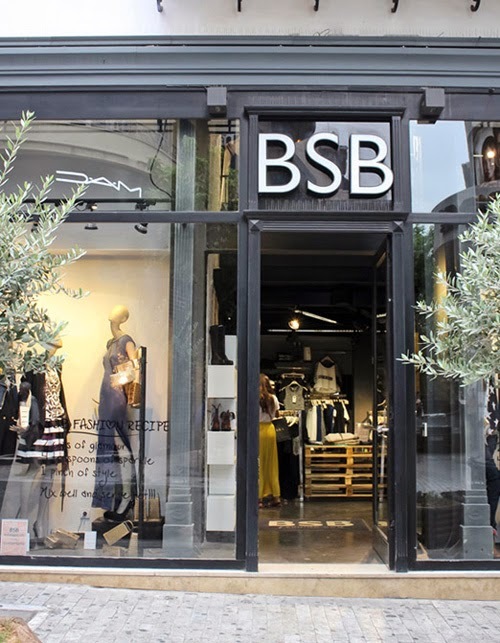 I don’t have a lot of photos of the stores but there were a lot of favorites like Pull & Bear, Zara, Stradivarious, Shana, H&M, Mango, Bershka and so much more. 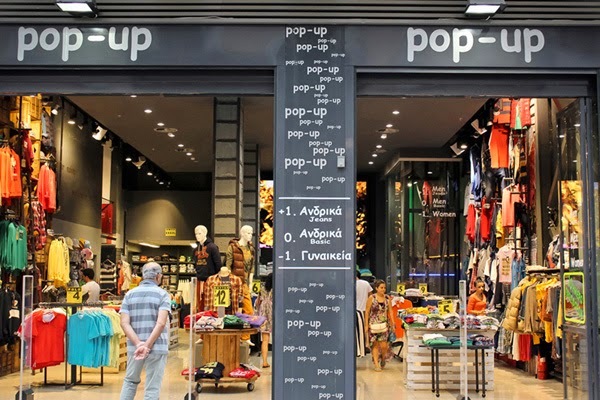 There were also a lot of shops I wasn’t familiar with like Pop Up. There were street performers near the chapel. 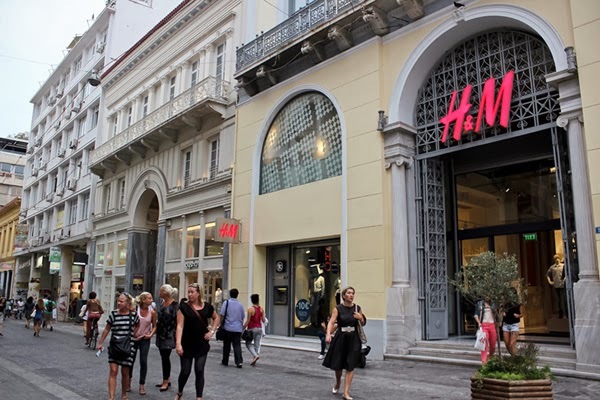 A quick tip, Zara is cheaper in Greece than in Italy. 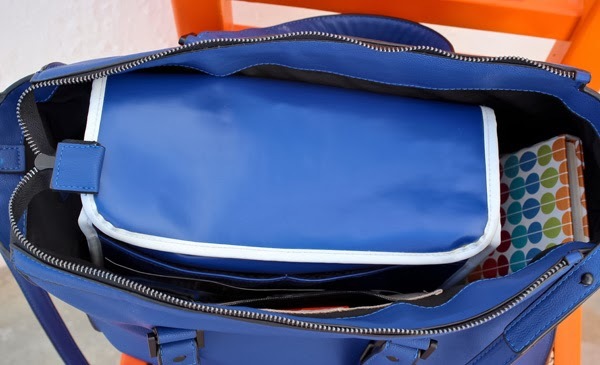 I bought this bag because I unwittingly overloaded my sister’s PacSafe bag and it needed a substitute. 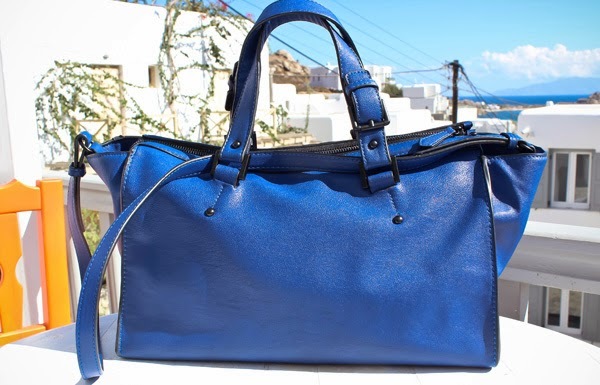 This bag was €24.99 (approximately P1500) in Italy and being sold for P1700-1900 here in Manila. My massive bag could hold my Izzoshop camera bag insert but after days of lugging it, I felt bad. I overloaded this bag too. It’s not a testament of the bag’s inferiority but a testament of my over packing ways. Phew, that covers everything already! I was very satisfied with all my purchases.